Many homeowners choose DIY for plumbing problems like clogged toilets or broken water heaters because they want to save money. Unfortunately, they can end up with an even bigger mess and a bigger repair bill after hours of effort. 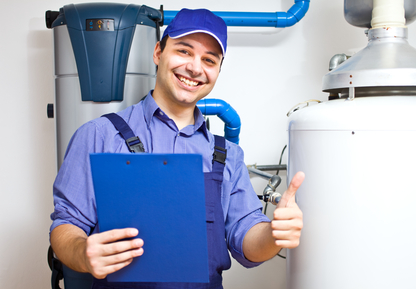 Calling a professional plumber in the first place ensures the job is done right. Consider these seven reasons for nixing DIY and hiring a professional plumber for all your commercial and residential needs. Whether you have a broken toilet that leaks water all over the floor or a sump pump that shuts off when you need it most, you depend on these appliances. Try to fix them on your own, and your bathroom might be unusable for a few days or your basement could flood. We don't think you want those inconveniences. Call a professional first to fix the problems, and your appliances return to active duty quickly. Try to repair a water leak in your home, and you might accidently damage the pipes. You'll end up with water everywhere, and you'll be unable to use your shower, washing machine or toilet until the problem is fixed. If you suspect a water leak, call a professional. He or she is equipped to find the leak quickly and make the repair without causing further damage to your pipes. We're already touched on floods, but let's emphasize this point again. Are you prepared to lose the items you store in the basement? Can you afford to replace the carpets and flooring in your home? What priceless mementos will be damaged if your shower overflows? It's better to be safe, call a professional plumber and prevent flooding than to deal with the aftermath of excess water in your home. You don't spend your days unclogging drains or fixing water pipes, but professional plumbers do. In fact, the Bureau of Labor Statistics reports that plumbers undergo four to five years of rigorous training before they can be licensed. Since they can probably handle most plumbing problems in their sleep, let them do their job instead of spending three hours fixing a problem they can do in a third of the time. Plumbing problems require specialized tools like a flaring tool, strap wrench and pipe cutters. You could shell out big bucks for DIY tools of your own or try to make repairs with the pliers and screwdrivers you have lying around the house. Or you could hire a professional who already has the specialized tools and specific equipment necessary to complete almost any repair. Fix a plumbing issue yourself, and you have no warranty if the water heater, valve or sewer line repair breaks in a few months. Because most professionals offer a guarantee on their work, you have peace of mind that if something would break, it will be fixed at no charge to you. Plumbing problems happen in every residential and commercial location. Even if you're handy, you benefit from nixing the DIY and calling in the professionals. Consider doing just that the next time you need an emergency or routine plumbing repair.